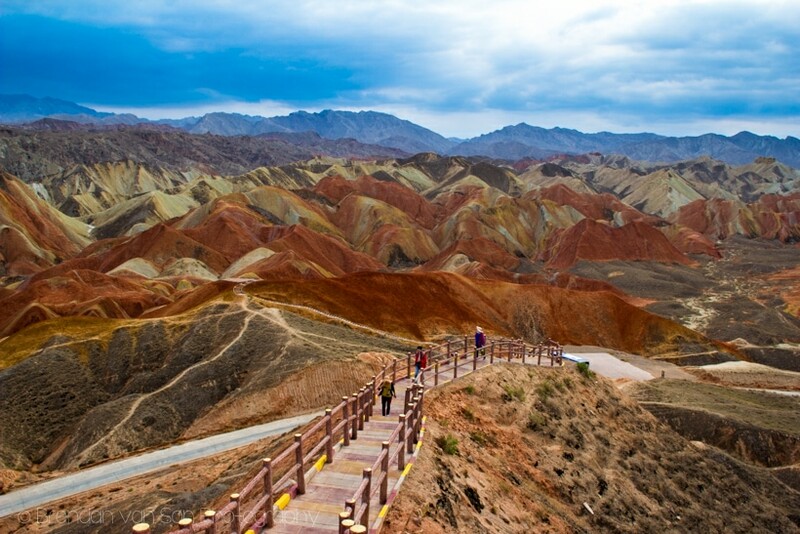 When I was planning out my China trip, I didn’t have a clue what there was to see. Like most people, I knew of the usual things: Beijing, the Great Wall of China, and Shanghai. Aside from that, I really had no clue what to expect. 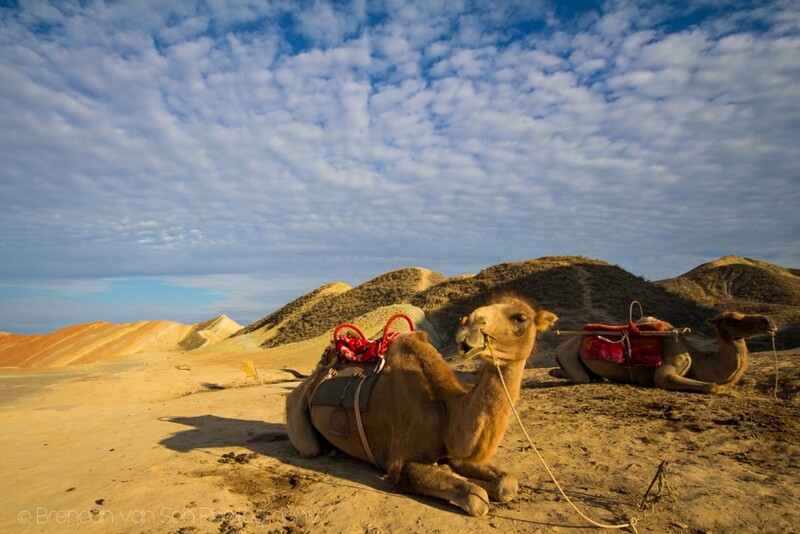 So, I did what any grown up, professional travel photographer would do – I googled it. 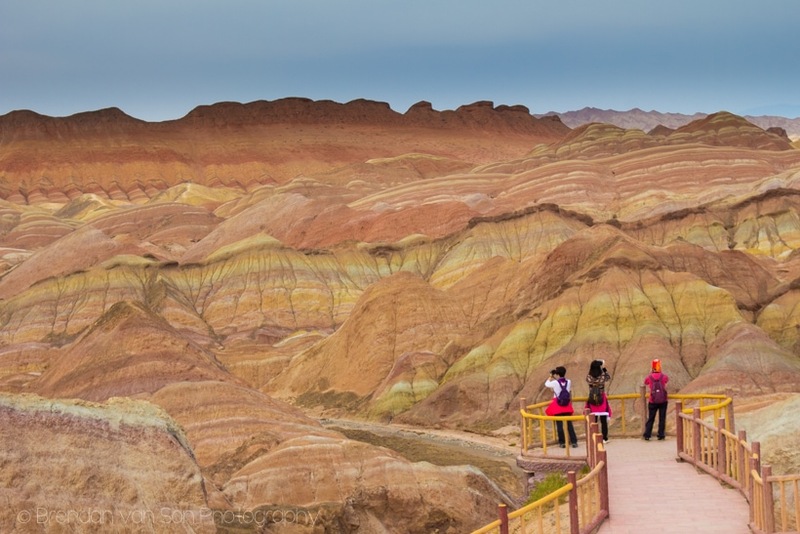 And as my goals were different than most people’s – I didn’t care to see Shanghai, Beijing, or the Great Wall – I searched for the most amazing natural sights in China. 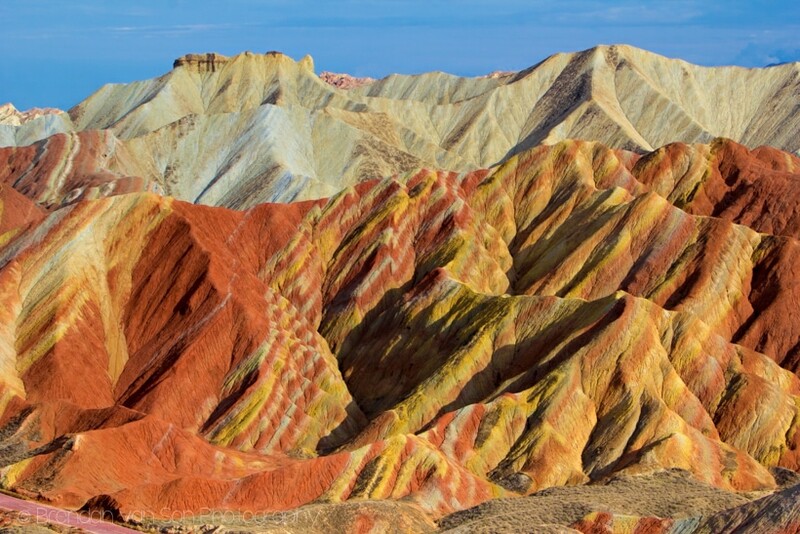 Of course, this Danxia Landform in Zhangye that the locals like to call the Rainbow Mountains came up on a pages. I needed to see them. 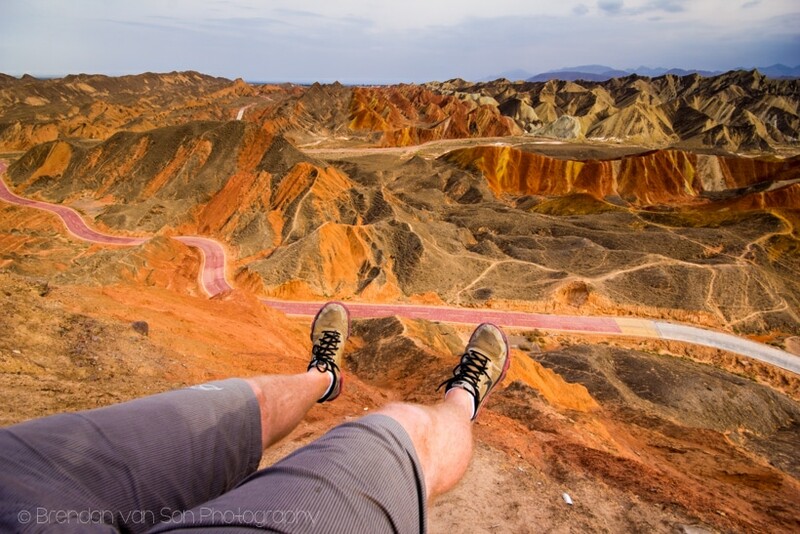 The video below shows an episode of “Getting the Shot” when I walk you through my afternoon of photography over at the Danxia Rainbow Mountains of Zhangye. 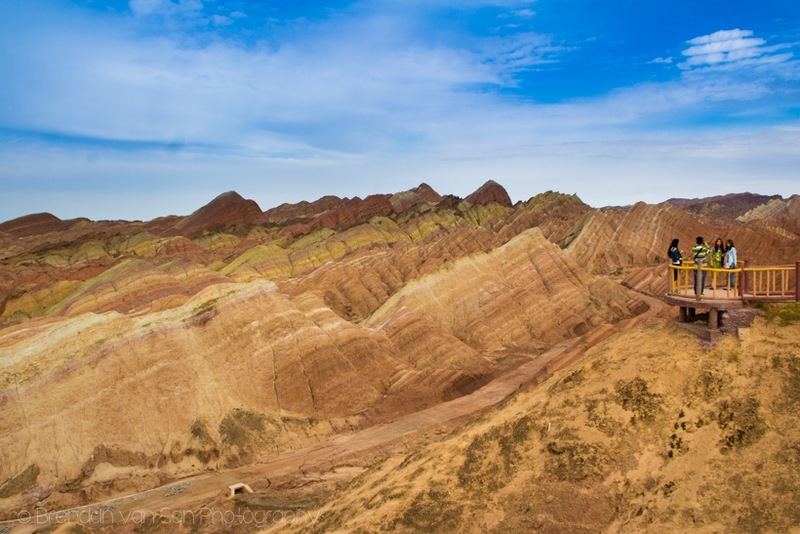 There’s more information about the Danxia Mountains below the video as well as some of the photos I took in the park. Check it out. 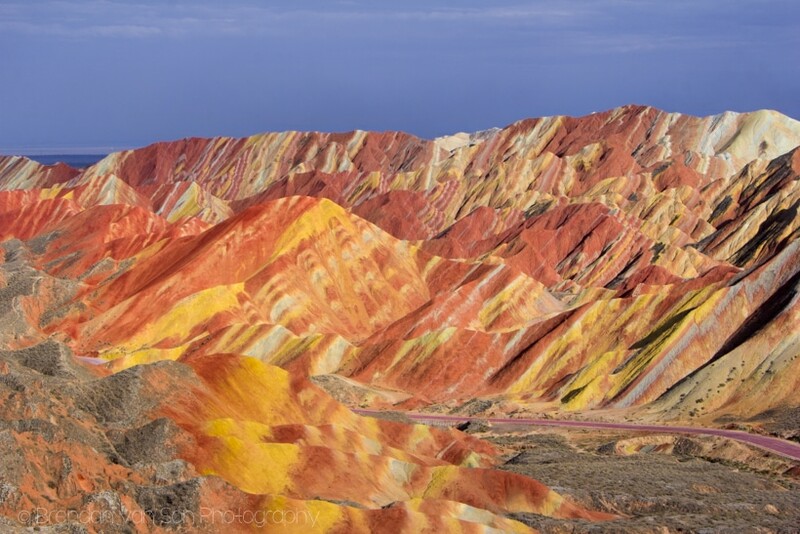 The park that holds the rainbow mountains is officially called the Zhangye Danxia Landform Geological Park and is about 50km from the city of Zhangye which means that you need to wheel to get there. It should take about 45-50 minutes depending on traffic. The park itself is much bigger than some might expect, but still relatively small. Most visitors arrive either to take in a morning trip or the afternoon. Few spend more than 3-4 hours in the park, and most just rip around on the park bus following it as it goes from viewpoint to viewpoint. However, it is possible to walk around a bit independently, but it will take some time. Most people opt to take a taxi out there which should cost about 300 Yuan ($50). The price will include the wait time the driver will spend at the gates. Be sure you arrange the time with your driver so he doesn’t over-charge you for staying too long. 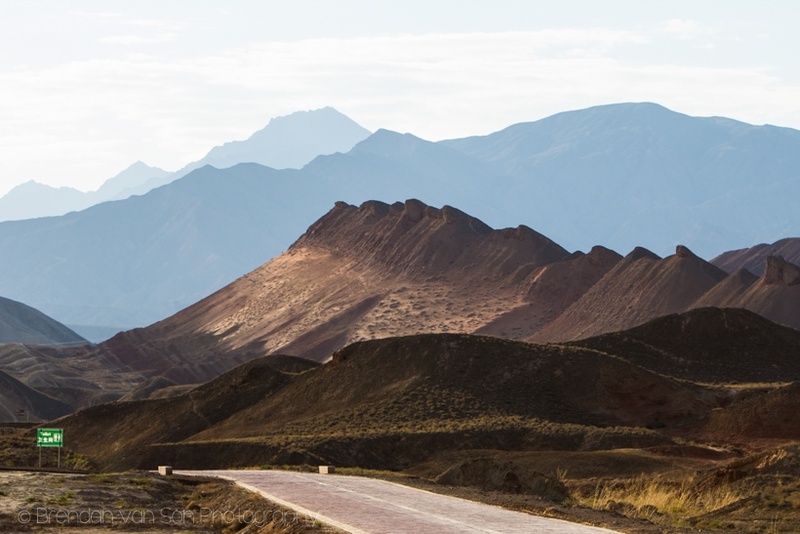 If you’re on a budget, it’s a better idea to ask at the hostel about trips there. We went with a shared taxi from the hostel and it only cost 45 Yuan per person which is a far better deal, especially if you’re alone. 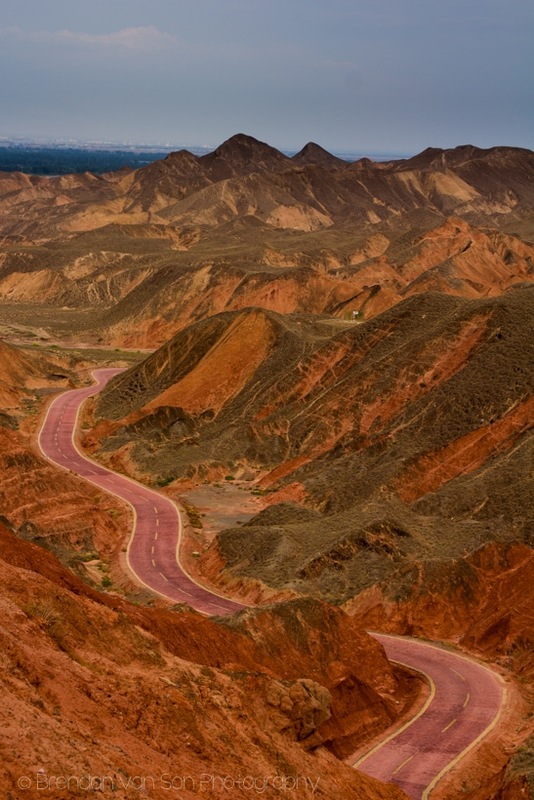 Possibly the most reasonable park in China, the entrance to see the Danxia Rainbow Mountains is just 40 Yuan (20 if you have a student card). You’ll also need to pay 20 Yuan for the bus ticket that rips you around the park. For those thinking you can get away without the bus ticket, just pay it. The distances are bigger than you think. As mentioned, there is a bus that costs 20 Yuan (10 for students). It’s really the only good option. The problem with the bus is that it really only leaves every hour and the stop times are quick. Thus, you basically need to jump off and on the same bus at each stop. It’s not like many of the parks in China where there is a constant flow of buses and you can hop on and hop off. You’ll almost be required to stay with your bus. It can make it feel a bit rushed. What we ended up doing is sticking with our bus the whole way to the last stop. 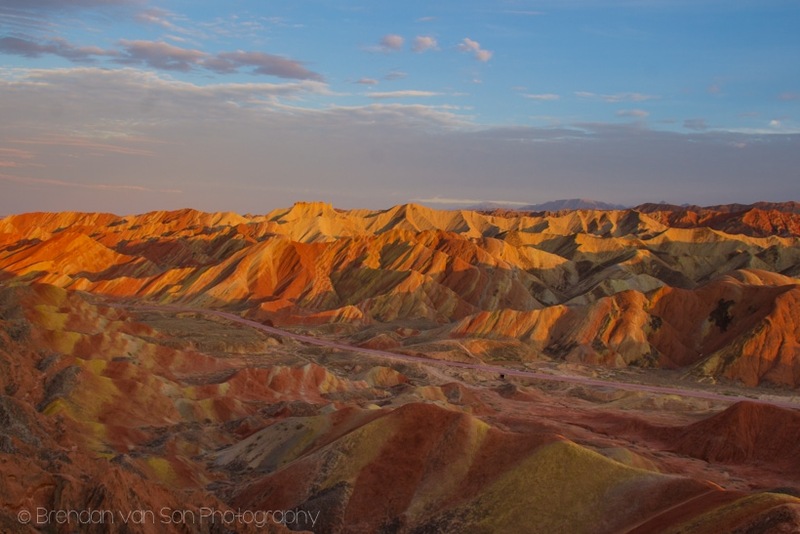 Then, at the last stop, we left our bus behind so that we could watch the sunset over the Danxia Landform, which was amazing. Although the Lonely Planet guide mentioned that the last bus leaves leaves for the gate at 6:30pm, that’s not the case. The last bus leaves depending on the sunset. It will leave from the sunset spot right after the sun goes down. Be warned, though, that if its a cloudy day and “there is no sunset” it may leave sooner. Be sure to ask someone. Also, it’s important to remember that there are actually two gates. Buses will leave at the end of the night for either one of them. Be sure you get on the right bus. If you’re planning on hiking around the park, it going to take you all day. The best way to do it, I think, is to catch the bus into the park, then hike along to the various viewpoints and then catch a bus out to your gate. I think it would be foolish to try to not take the bus. You’ll spend most of your day walking just to save a couple bucks. As I mentioned, there aren’t actually fixed opening and closing times. They operate via the seasons. Thus, in the winter the park closes in the early afternoon. In the summer months, the park might be open as late as 8-9pm. Be sure to ask someone to be sure. You wouldn’t want to get locked inside the park when the gates close. Probably my favourite shot from the day. Love how the lines worked on this one. 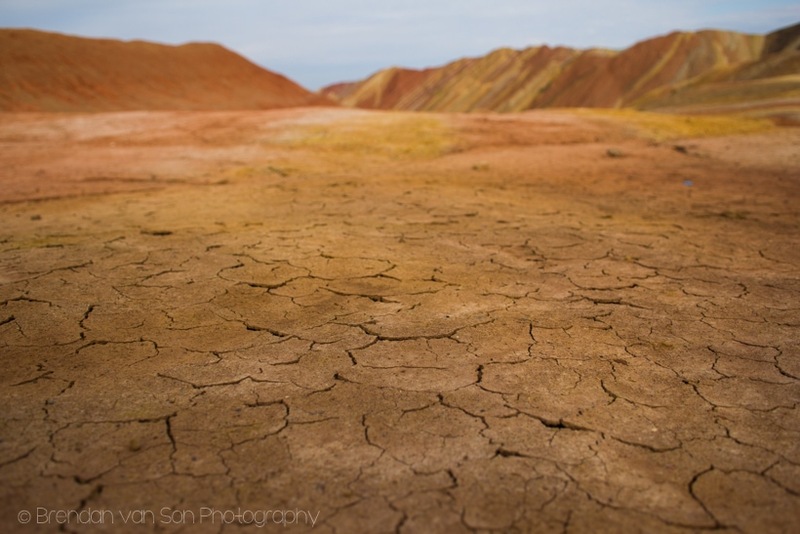 Another shot of the cracked earth, this one taken right at sunset. 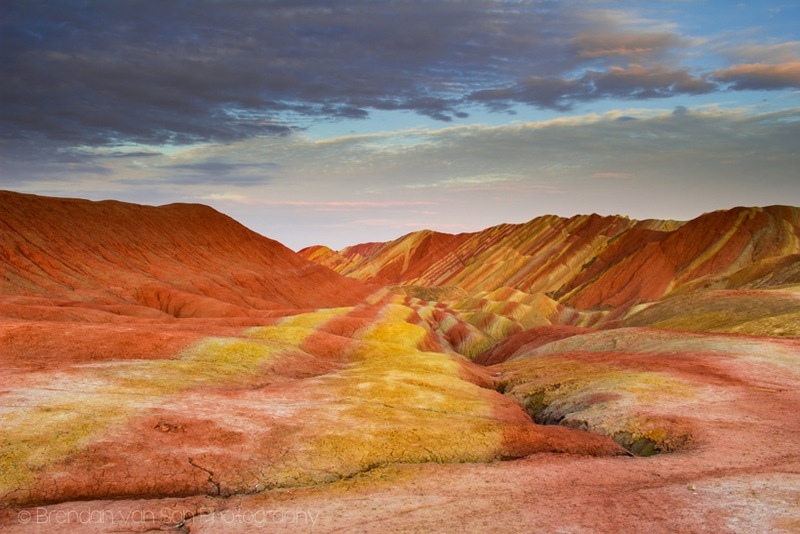 Rainbow mountains in front of a white mountain. Hanging out to enjoy the view. Visitors taking in the view at one of the view points. How cool is this place. Seriously?! I shot one image away from the colour and into the sun. Love how it came out. Sun setting behind me. 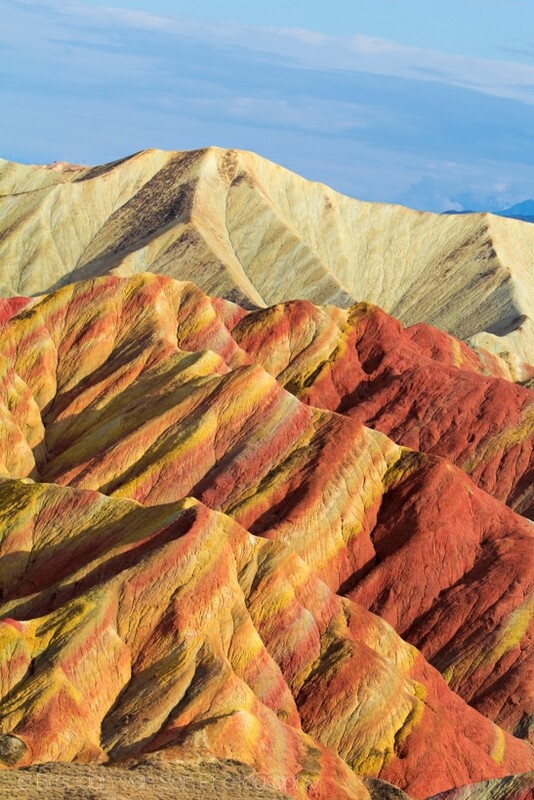 Great colours over the mountains. 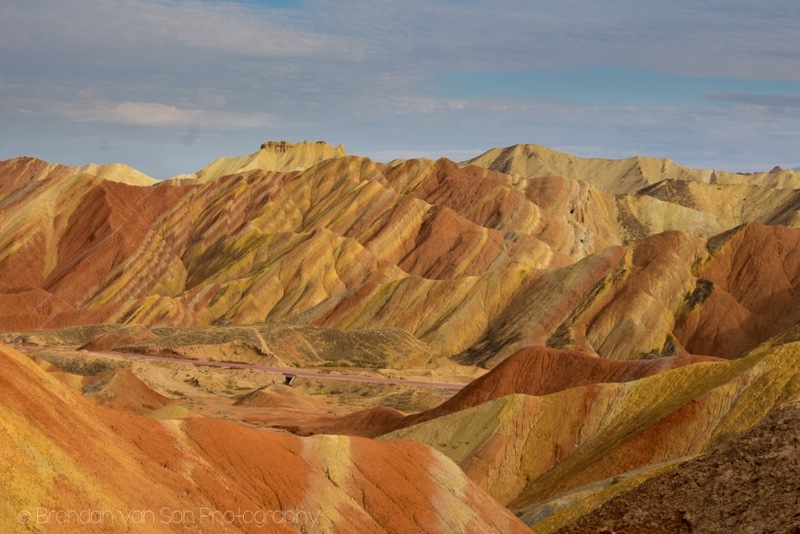 A really neat area if I ever get to China it would be on the list. 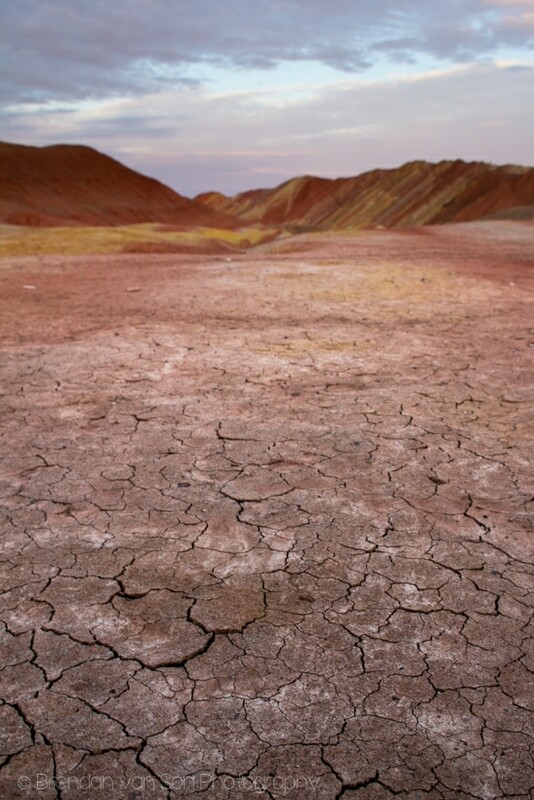 We visited John Day Fossil Beds in Oregon and it looks very similiar. Pictures on my website.